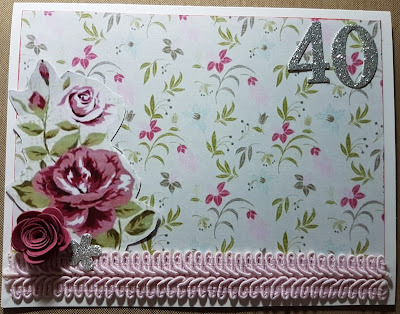 I am up on the Scrapping Fun Kits blog today with a bonus post about the card I made for my Best Friends Birthday which is Today hence the late share as I am dropping off her card and present Today and won't be hitting publish until she recieves it. This kit was inspired by her love of pink so I had to use it for her Birthday Card, in addition to her card my boys made my Mother's Day card with the kit so it was well used. 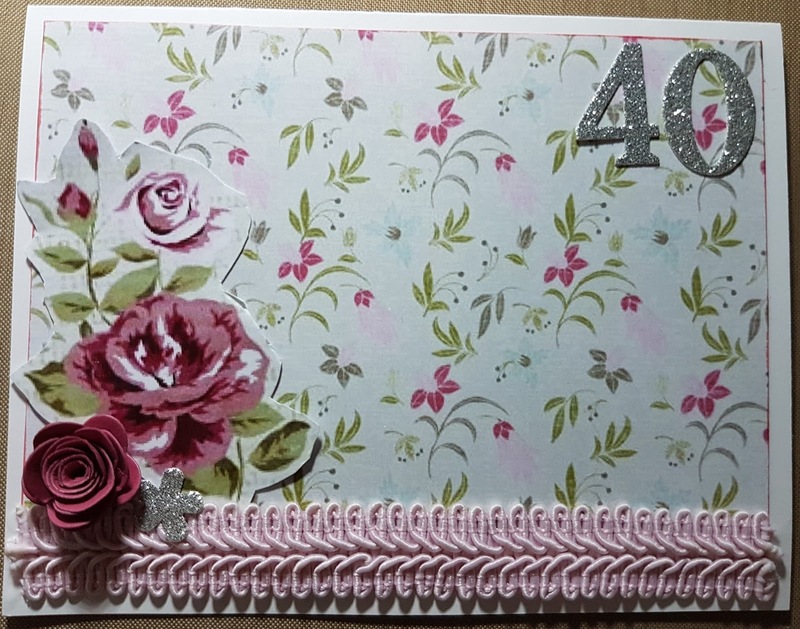 I chose to use the lovely floral paper, the pink trim, my last flower from the cut apart and the rolled rose which was part of the little bonus the Earlybirds recieve on my card. I edged the paper with some Worn Lipstick Distress Ink. I have these lovely silver number stickers I got from my DD last year from my local cheap shop, they have 4 little flowers on the sheet so I added 1 to my cluster to pull the silver in. I love doing more complex cards but simple cards like this I find to be rather special.